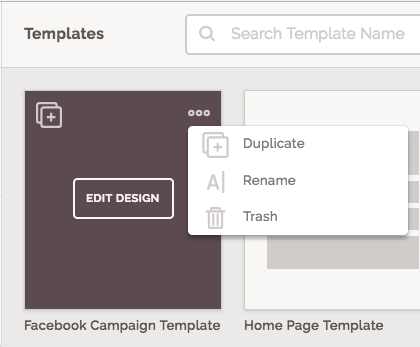 When you create a page, you start by choosing a page template. There are two types of page templates: Stock and Custom. Stock Page Templates are templates that the platform comes with by default. Custom Page Templates are templates you or users within a Workspace have built or saved. Each workspace can have multiple custom page templates unique to that workspace. Custom templates are only saved to your current workspace and do not automatically appear across the different workspaces within your organization. You can view your current workspace's custom templates inside Templates in the Navigation Pane. 2. On the top right of the Main Header, Click on "+ Template" to begin building your custom template. 3. Enter the new template's name and click "Continue". 4. Choose an existing template to start from. 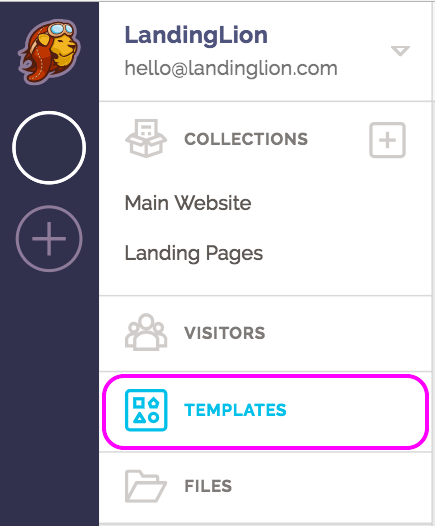 To preview a template in mobile or desktop, hover over the template and click "Preview". 5. Click "Use this template" to finish creating your custom template and design the new template to your liking in the Editor. Changes you make are automatically saved to your new template. 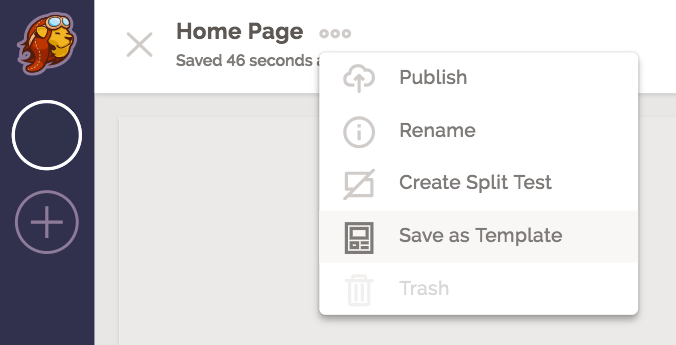 ⚠️ NOTE: In the template editor, you'll notice that there is no green Publish button. This is because you cannot publish a template directly to a URL. In order to publish a page to a URL, you have to create a page in a collection using this saved custom page template you created. There are two ways to save a template from an existing page variant: from inside the editor and from the page's details view.